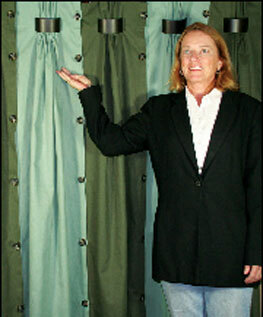 A decorative fabric panel system wherein one or more fabric panels are held by one or more removably positionable clip members having an openable and closable latch member. 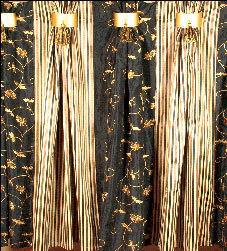 One or more hooks are preferably provided suspending the clips and fabric panels from a pre-determined location. I can explain it as a fabric panel system. 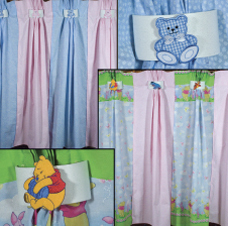 The panels of fabric are approximately 10" wide and attach to each other with Velcro, buttons, snaps or any other means. They will come in common lengths that fabric window treatments now come in. They attach in a clasp (like a large barrette) with two drapery hooks on the back. 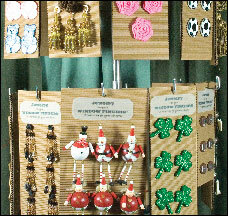 These drapery hooks then ride on a traverse rod or wood /metal rings on rods. I call it "Window Fingers" A wardrobe for your windows. Also needed is the rod (traverse, wood, metal or any other material) and the carriers (rings or drapery hook carriers). With this system you can easily change the look of your window treatment by changing one or more panels, the jewelry or both. It also has an advantage of changing your treatments seasonally. And if one panel becomes damaged it can be replaced without a lot of expense. This product will make custom window treatment available to everyone. And each individual can design and redesign affordably. The componets of this system can be used over and over again. I thank you very much for taking the time to look at this. I am very interested in a licensing deal. I have so many more design ideas for this product and I would love to work with a company to get this creative window treatment in to homes everywhere. I would also be willing to sell the patent outright for the right price. Please feel free to ask as many question or comments you may have. 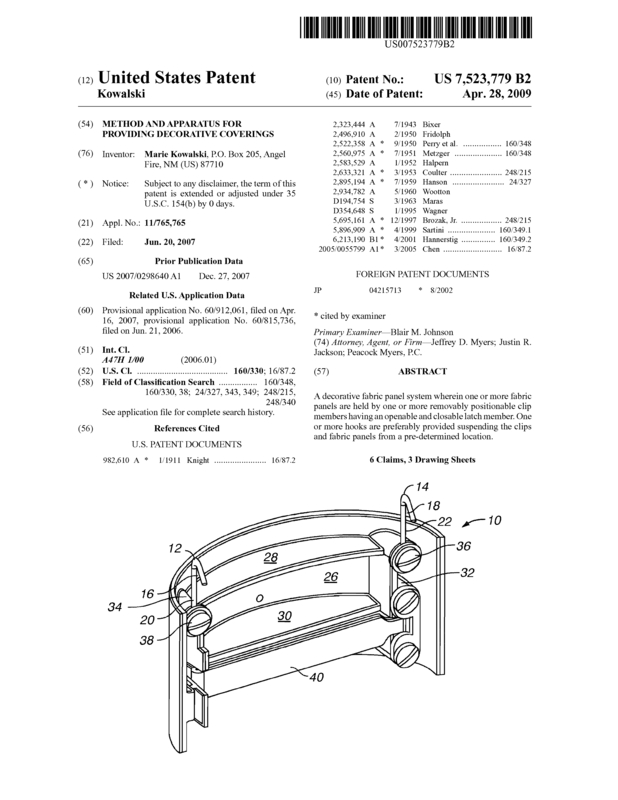 Page created at 2019-04-25 0:37:07, Patent Auction Time.